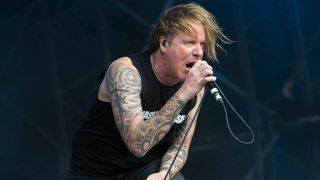 Fear Factory might have a passion for dystopia and technology making slaves of us all, but vocalist Burton C Bell has much more going on inside his mind. Here, we talk to the Texan industrial pioneer about the state of American politics, his favourite comic books and why modern music is so mediocre. Fear Factory’s latest album Genexus is out now, via Nuclear Blast.